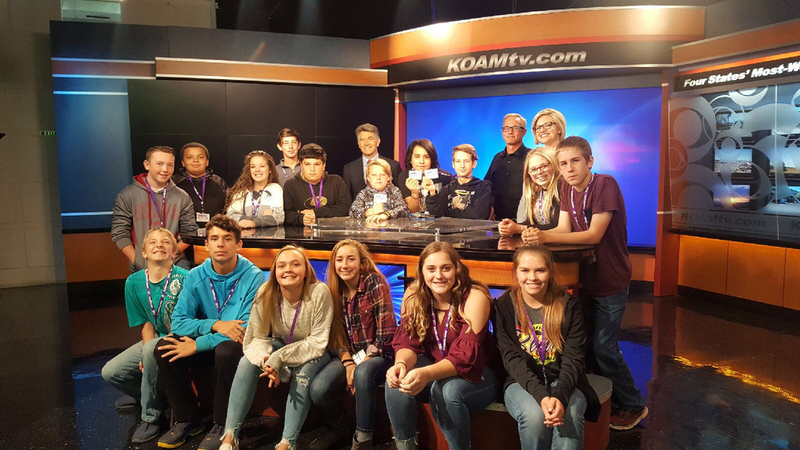 Wyandotte MS Communications class had the privilege of touring the KOAM-FOX 14 studios. Students got to see the behind the scenes of how a news cast works, the different jobs available at a TV station, and even got to sit in the studio to watch the live noon newscast! They had the opportunity to meet with and talk to news anchors Dowe Quick, Tawnya Bach, and Michael Hayslip.